Earn up to 1,032 reward points. 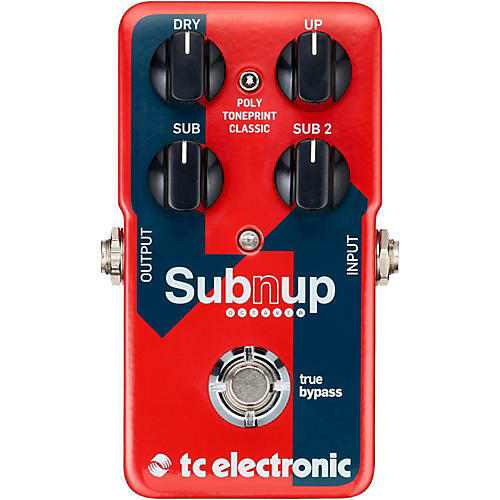 TC Electronic's Sub 'N' Up Octaver is the new leader of the pitch-pack. Featuring their superb next-generation octave-engine and individual blend controls for dry, octave-up and two sub-octaves, Sub 'N' Up is set to deliver flawless octave tones whether you're playing complex chords or groovy single-note lines. And with the option of adding modulation to the mix via our high-powered TonePrint editor, for spacey ambient octaves, Sub 'N' Up Octaver truly is the definition of pitch perfection.